Meditation can take on any form. You can meditate sitting, standing, walking, making love, doing art, being with your kids, working – essentially any activity. It’s the state of consciousness that you bring to your active intention that matters most. We can drive our car on autopilot and forget how we even arrived home, or we can truly center ourselves in the present moment, and look at the road in front of us as if we’re seeing it for the first time. This takes a level of effort and awareness. It means dropping the constant chatter in our mind and being fully present to what’s right in front of us. A simple way to apply meditation is to start with walking. It’s one of my favorite past times! Since I write and tend to work at the desk a lot, it gets my body moving and more connected to the Earth’s nourishing magnetic field. It feels good when I walk in nature, most especially forests, where I feel more connected and revitalized. In the following video, I share some simple observations and guidelines for walking meditation. You may find that everything you come into contact with comes alive with your heightened sense of awareness. After watching this video, I highly recommend making the intention to have a short walking meditation of your own. You might just find that it shifts your experience, by making it more lively and connected. Walking meditation can also help to clear your mind, help you feel more grounded, and whole. 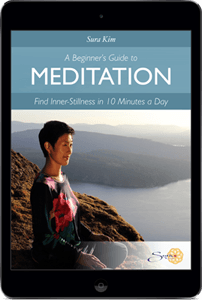 It is an especially great practice for beginners who find it challenging to sit still for long periods of a time. You can begin with 5-10 minutes and increase your mindfulness walk with experience. Do your best to make it a fun and engaging experience.